Real Madrid are reportedly lining up significant changes to their squad with potential raids on Manchester United, Chelsea and Tottenham in the summer transfer window. The Spanish giants have had a poor season of under-achievement in every competition, with last summer’s sale of Cristiano Ronaldo hitting them hard. Real also struggled with Zinedine Zidane’s departure, but he’s now back and it looks like he could embark on a big summer of spending. According to Don Balon, Madrid could offload a number of current players and look to spend as much as €500million on some of the biggest stars from the Premier League. The Spanish outlet lists Manchester United midfielder Paul Pogba as one name on their radar, which would be a huge blow for the Red Devils after the boost of Ole Gunnar Solskjaer being confirmed as permanent manager today. Elsewhere, Chelsea pair Eden Hazard and N’Golo Kante are linked with Los Blancos, in a double raid that could really hurt the Blues as they face a possible transfer ban this summer and look unlikely to make it into the Champions League. 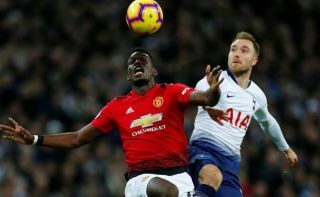 Tottenham playmaker Christian Eriksen is also mentioned by Don Balon and would be a superb purchase for Madrid, though it could set Spurs back a great deal after so much progress in recent years based on Mauricio Pochettino bringing together a strong core of players who know each other well, without doing much in the way of buying or selling.